Back in the day Saturday meant freedom. No school so it was birds or BMX or both. After a day spent getting into and out of scrapes I would head home for tea and some TV. In the mid to late 80’s I’d tune into one of the holy trinity of young boys’ TV, either the A-Team, Dukes of Hazzard or Knight Rider. I loved The A-Team for the tanks they’d make out of an old car and a dustbin; I loved the Dukes for the plaid shirts, the General Lee and Daisy’s hotpants. 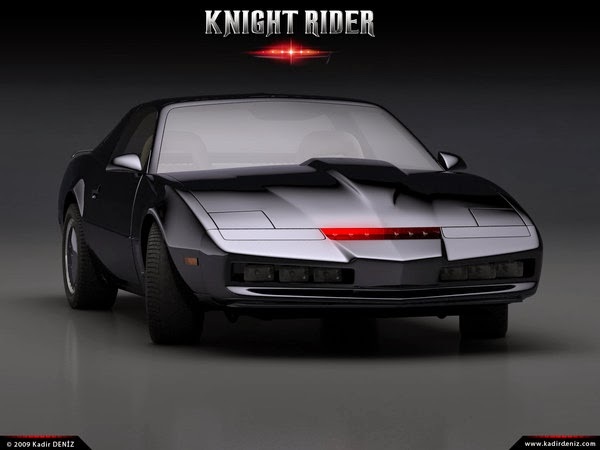 With Knight Rider it was all about KITT. The coolest car EVER. A car that could talk, drive itself and came fitted with a suite of highly offensive weapons that didn’t actually ever seem to hurt anyone all that much. Age 10 how much did my friends and I want one of those cars?! Plus it did all of these things while looking achingly cool, with super sleek lines and glossy black paintwork. For me KITT (not the Hoff!) was the benchmark of cool. Fast forward to the present day and it’s all gone a bit autumnal on the muddy banks of the Dee. After a stellar summer (for a change) the leaves are turning, the fruit is ripening making the branches bend low with the fecundity of autumn. Unsurprisingly it has been my most productive year to date with the mercury vapour moth trap, both in terms of diversity and abundance. I haven’t completed the list of species yet as I can’t quite give up on the moth-ing even though the best nights for them are behind us. 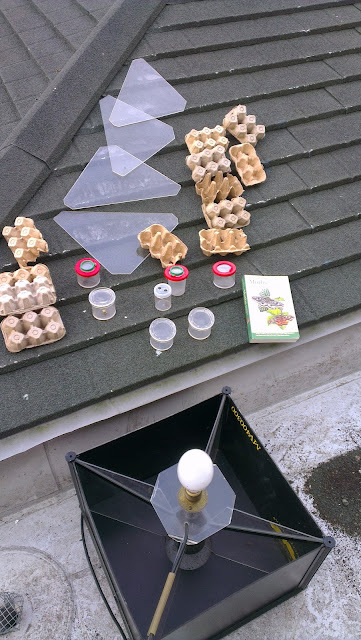 We have had a few dry and mild nights on the Patch recently so I have continued to set the moth trap. This is the latest I have ever trapped so I’m getting stuff that I have never seen before, moths that are new (to me! ), exciting and cool. Obviously numbers of moths in the trap are much lower, there are fewer on the wing and fewer species are active in the cooler autumn nights, but what we are lacking in quantity we are more than making up for in quality. First out of the trap on this particular morning was (after a good hunt through the field guide) a Blair’s Shoulder-knot. A reasonably sized Noctuid moth the colour of bonfire ash. 2 delicate black lines delineate the top of the grey thorax and there are 2 tiny fuzzy patches of auburn on each wing. Subtle but still beautiful. It is a chilly morning so the moths remain quite torpid allowing me to place them on a suitable perch to take some photographs before they are returned to the safety of the hedgerow. 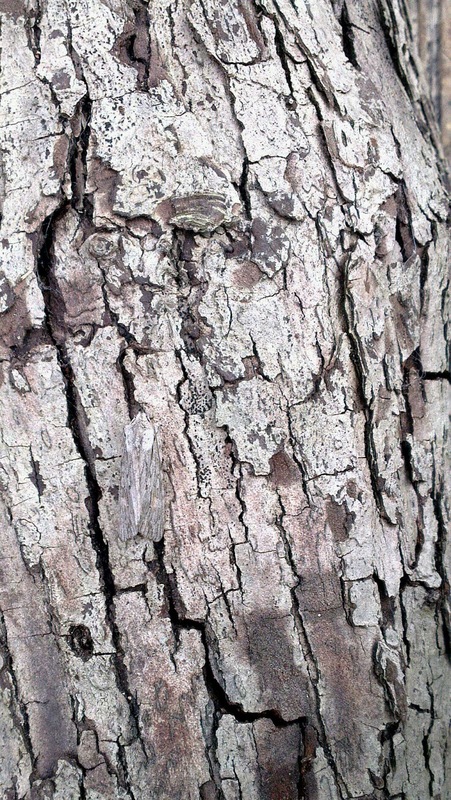 I put the Blair’s Shoulder-knot on to a gnarly old lichen covered oak log and it instantly disappears. It doesn’t fly off (as happened with many photographic attempts on warm August mornings!) it just blends in perfectly with the log. 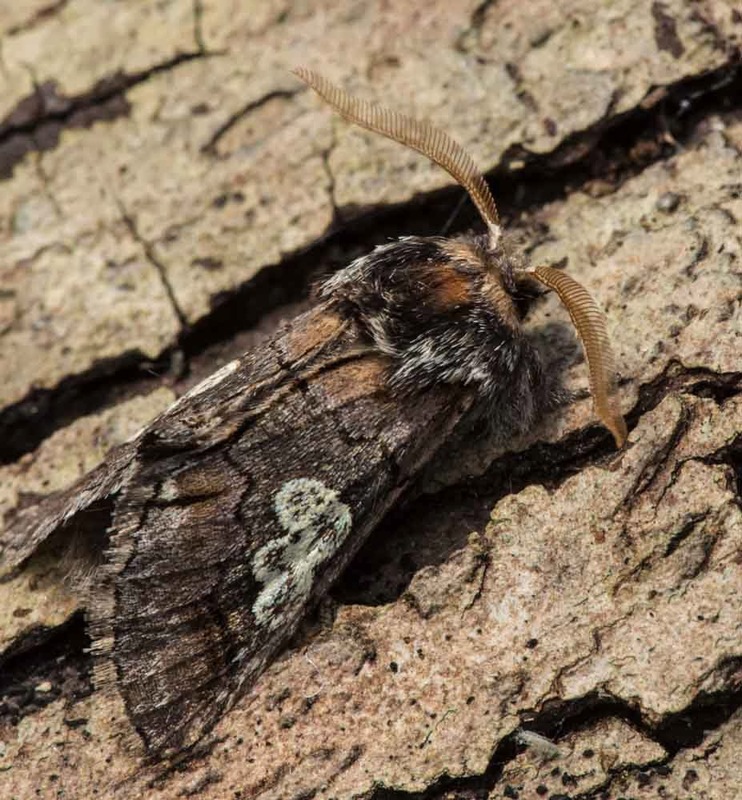 In fact after taking my eye off the moth, even for an instant, it takes me some time to relocate it and I have to be careful not to crush it accidentally when moving the log. Next to be fished out from the trap is a Figure of Eight, a chunky Notodontid. Again this is the first time I have caught one so I refer to the guidebook. The book is looking a little battered now after a few years of use in the field. It is yellowing slightly and there is the odd midge carcass preserved next to the drawings of the moths. The midges are attracted to the light too and a couple had obviously alighted on the open book only to be entombed there when the moth-ing session ended and things were packed away. Over the summer I trapped a few Figure of Eighty moths, moths that really do look like they have had a number 80 tipex-ed on to their wings. The Figure of Eight is an equally impressive creature and even though its numerical nomenclature might be lower it is still as remarkable as its high value cousin. It looks like a small twig with a splodge of lichen on it. If you squint a bit you could say that the lichen like mark resembles a number 8. Then from the trap comes a real treat. It is not a rare moth or the most patterned, but I just fell for it. 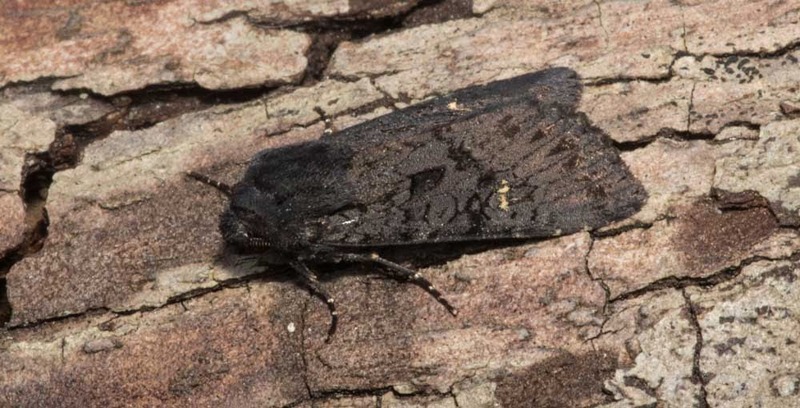 The Black Rustic. This is the KITT of the moth world. At first glance it looks like a chip of charcoal. Then you look closer and a moth appears, a moth that is bright (if that doesn’t sound daft) black. It has a sheen, a gloss to it. It looks like coal and velvet at the same time. On the wing is a small white kidney mark, a clue to what lies beneath the velveteen forewing. I tease this back to look at the hind wing. It is silky white, shimmering like the lining of one of Pep Guardiola’s expensive suits. Who says moths can’t be cool? I take the moth back to the hedgerow after a few pictures have been taken and on the way there I contemplate the coolest moth I’ve seen yet. It is looking like charcoal again. But not quite, it’s like a piece of ore leftover from a mysterious industrial process. This moth looks like it was fired in a blast furnace rather than hatched from an egg, it didn’t emerge from a chrysalis, it was smelted. I let KITT go at the bottom of the Hawthorn hedge, it scuttles out of sight under some dead leaves, to wait for the darkness, to ride the night again.